A THINK favorite, TODAY Show financial editor Jean Chatzky, is returning to the THINK stage as host of THINK 19, May 6-9 in Miami. Additionally, five newly-announced speakers will help to round out a stellar lineup of keynote presenters for the conference. 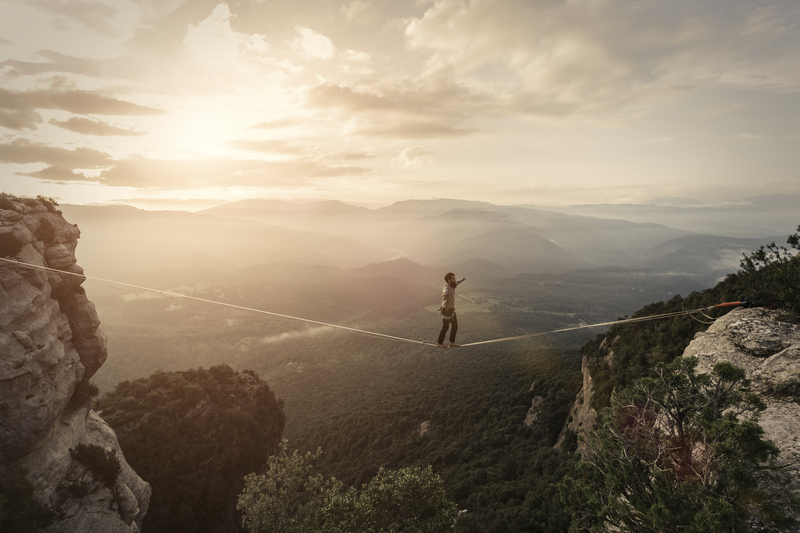 This year’s THINK presenters will bring wide-ranging perspectives to their exploration of the theme “Opportunity Never Rests.” The rapid evolution and adoption of technology is creating unprecedented opportunities for credit unions to gain new relevance and grow their membership. 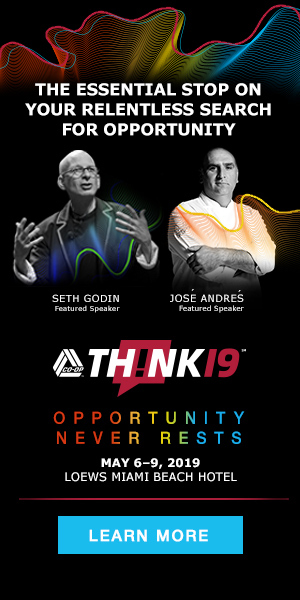 The newest additions to the THINK 19 speaker lineup will share and discuss opportunities in areas ranging from member experience, digitalization, the power of habit, and personal finance. Jeanne Bliss is founder/president of CustomerBliss, and a leading business coach on customer/member experience. Bliss is a returning THINK speaker, having spoken at the 2011 gathering. Her common sense approach is summarized in the title of her 2018 book, “Would You Do That to Your Mother? : The ‘Make Mom Proud’ Standard for How to Treat Your Customers.” It will be the theme of her THINK 19 presentation. Charles Duhigg is the author of “Smarter Faster Better: The Transformative Power of Real Productivity” (2017) and “The Power of Habit” (2014). Duhigg was a New York Times reporter for 10 years and won a Pulitzer Prize in 2013. At THINK 19, Duhigg will focus on how credit unions can predict and control habits, and ultimately know what member want before they themselves do. Taavi Kotka helped architect the digital transformation of an entire country as chief information officer of Estonia. The country’s e-residency program, launched in December 2014, allows non-citizens access to Estonian services, such as company formation, banking, payment processing and tax information. Kotka will discuss how “strategic agility” transformed a country – and can transform a credit union. Jeffry Pilcher is the president and CEO of The Financial Brand, an online publication founded in 2007, covering the retail banking industry. 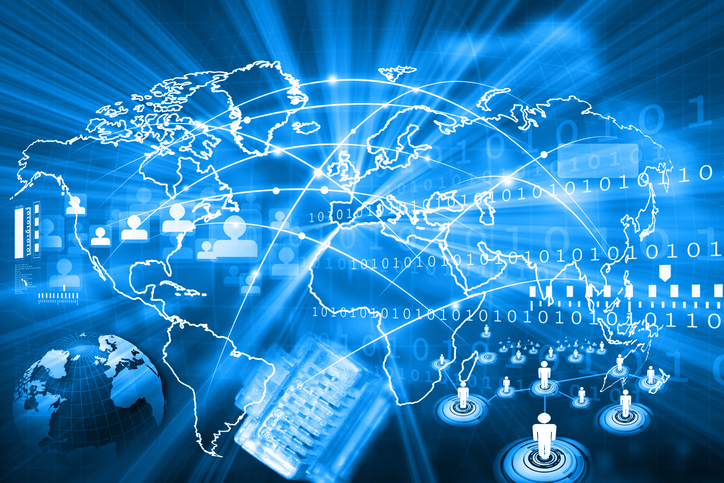 The site claims 1.75 million readers in more than 200 countries. Appearing on the first morning of the conference, Pilcher will devote his talk to identifying the leading trends impacting financial services. Stephanie Woerner is a Research Scientist at the MIT Sloan Center for Information Systems Research, who studies how companies manage organizational change caused by the digitization of the economy. Her research centers on enterprise digitization and the associated governance and strategy implications. Woerner will devote her THINK 19 talk to helping credit unions identify their own digital business model. THINK 19 attendees will receive big-picture insights from these keynote presentations that will be tied to real-world credit union strategies through the Power Sprint sessions and new solutions-focused Masterclasses. THINK 19 will also provide a beautiful beachside setting – Loews Miami Beach Hotel – for relaxing and networking with the 800+ credit union industry leaders in attendance. Now through March 8, credit unions can take advantage of CO-OP’s winter registration pricing, saving $200 on the full registration fee of $1,999. Register now!